“pointillism” is a solo live-coding performance in Pd. 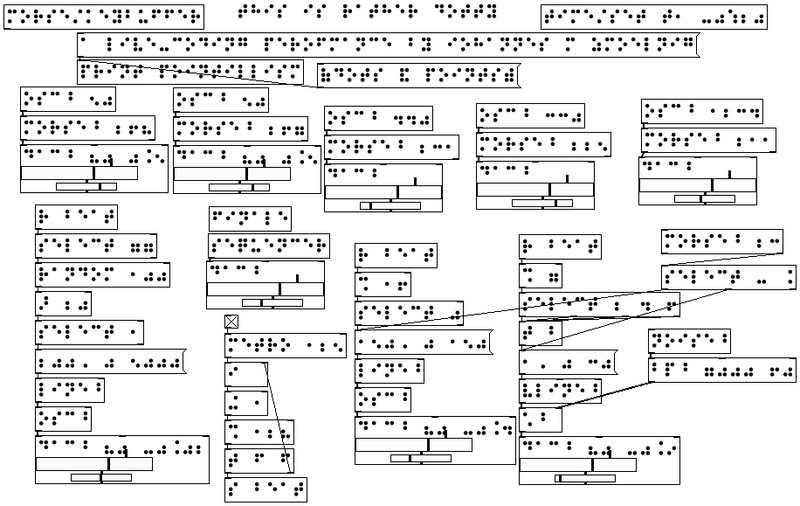 Both the code representation and the generated audio use “points” and “dots” as building blocks: the music is generated using morse code patterns, the code is written in a “Braille” (the dot-based writing system especially designed for blind/visually-impaired people). The performance is an ironic statement on the popular “show-us-your-screens” paradigm, by presenting the code in a form that does not even pretend to be readable.